Best Austin Movers Since 1991! Our Apple Moving operations all started with our first location in Austin over 25 years ago. More than a quarter century later, we continue to serve the central & south Texas area with world-class local and long distance moving services. From the great green spaces to the terrific music scene to the fabulous restaurants, there’s so much to love about our hometown, but most of all we love the people. We’re proud to say that locals have entrusted us with their prized possessions for over 25 years, making us one of the oldest and most trusted moving companies Austin has to offer. To get started on your upcoming move, give one of our friendly sales staff a call today. We’re happy to talk you through the moving process and provide you with a hassle-free estimate. In this tech-centric city, start-ups constantly come and go. However, Apple Moving is one of the oldest moving companies in the city, and we aren’t going anywhere! In our decades of experience helping residents relocate, we’ve moved just about any and everything you can think of. From bulky grand pianos to valuable fine art, we’ve seen and moved it all. 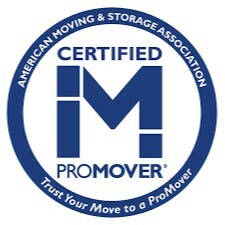 If you’re looking for the most experienced movers in town, give Apple Moving a call! With services like this and prices like ours, you can easily see why we were voted the best movers in the city by the Austin Chronicle! Make sure you’re hiring the best moving companies for the job… Hire Apple Moving today and we’ll get the job done. Get an instant moving quote today and rest assured that we’ll treat you to the full Apple Moving experience! From course side homes in Spanish Oaks to cozy East Side bungalows, we perform residential moves of all shapes and sizes. Our crews treat your belongings like their own, keeping your household goods safe and secure throughout the relocation. We are a locally-owned and operated moving company. Serving our local neighbors well is our top priority. We offer local moving services by the hour throughout the Austin metro – from Georgetown all the way down to Buda, and from Lakeway out to Bastrop. Even though we’re from here, we can get you there. Whether you’re moving to the East or West Coast, up to the Midwest, or to another part of the country, Apple Moving offers moving services across the contiguous U.S., making your long-distance move streamlined and simple. Most people shy away from moving a piano on their own, and for good reason. These mammoth instruments are just as delicate and accident-prone as they are heavy and awkward. Apple Moving has experience moving everything from small uprights to massive grands and all the equipment to do so carefully. You can trust us to make your piano relocation a breeze. From disassembling your pool table and wrapping the pieces to helping you reassemble it in its new location, Apple Moving can handle your pool table move from start to finish. We bring the equipment, movers, and truck to safely transport your table, so you can enjoy it for many games to come. Our location in North Austin has climate-controlled storage available to make temporarily storing your items during a relocation straightforward. Our movers load up your items at your home or office, then transport them to our facility, where they are safe and secure until you’re ready for delivery. For most people, packing is the biggest hurdle to preparing for a move. Sorting through everything you’ve accumulated over the months or years since you moved in, purging what you don’t need, then getting the rest packed into boxes can take weeks. Apple Moving is a full-service mover, which means we do things like the packing and unpacking, helping you reduce your moving to-dos. Relocating your office from one commercial space to another can cause distraction, disruptions, and headaches. When you leave your move in our hands, we’ll work diligently and efficiently to coordinate all aspects of your business relocation enabling you to focus on keeping your customers happy. We are the furniture movers trusted by residents to get their couches, armoires, credenzas, wardrobes, coffee tables, dining sets, and patio pieces from one place to the next. To prevent injury to yourself or damage to your property, it’s smart to consider hiring appliance movers. We have the equipment and movers to handle all types of bulky household appliances – from refrigerators to washing machines. Whether you’re a student moving into the dorms at UT or a St. Edward’s student relocating to off-campus housing, Apple Moving is here to assist with all your student moving needs. We can even help you find temporary storage for your belongings during a semester abroad or a summer away. There’s a reason Austinites have trusted us to bring them home for more than 25 years! See why we’re one of the most trusted local names in moving. Our goal is to streamline your moving process, saving you both time and money. The moving process starts when you submit your moving information online or over the phone. Our friendly agents will put together a customized estimate based on your moving information, so you can make an informed decision about working with us. We think you’ll find that our moving rates are some of the most competitive in the business. On moving day, you can expect our team of movers to show up on-time and ready to work hard. Our guys will get the truck loaded as quickly as possible, taking care to treat your items as they would their own. At the new house, we’ll get your furniture set up and ready for use, carefully stacking your boxes and smaller items out of the way until you have a chance to unpack them. With Apple Moving, moving day doesn’t have to be stressful or chaotic. No matter the size or distance of your move, we can handle the logistics to make your relocation as smooth as possible! We are licensed and insured to handle both local and long distance moves, so whether you’re moving a zip code over or out of Texas, we can get you there.